My Curve 5 was the most moody skimmer I ever had. It took forever to break-in and had the overflowing foam forever too. Every time I would clean it, I had to deal with it all over again. I switched to a Reef Octopus and never looked back. Glad you got it dialed back, just know that it may go back to being crazy at any time. I recently upgraded from a Red Sea 170 to a 425xl and I'm selling the items I didn't bring over. I would like to sell it as a package or close to if anyone wants a bundle... if nobody is interested in that, I will sell things separately later. Here's what I have to offer: - Red Sea 170 with White cabinet, has all the original equipment (tank, stand, sump, ato reservoir) plus a rechargeable LED light with motion sensor in the cabinet. No scratches or chips. - Artfully Acrylic custom top for RS170. - Bubble Magus Curve 5 skimmer. - Ocean Revive t247 light. - 2x MP-10 WQD. Asking $1,100 for everything, which is less than half of retail as we all know how this hobby works. Everything is in great working order and I have an Eheim Jager heater I can throw in, so all you would need is a return pump. I'm cleaning it right now, so I should have photos later if it hasn't sold yet. Thanks for looking. Official PNWMAS Dog / Puppy Photo Thread! Enso the blue is 3 and Moxy the brindle is 8. I have some rainbow bubble tips and one of them just happen to be moving positions on Monday, so picked it up. It's in a holding tank right now and is small, like a 1-1.5" in diameter. The lid is from ReefTops in the UK. They do all their communications through Facebook. 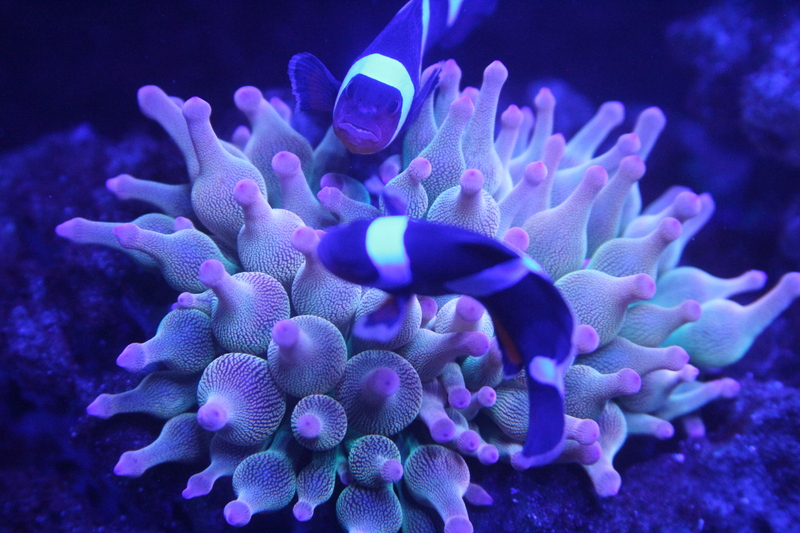 https://www.facebook.com/ReefTops/ I have an Artfully Acrylic top on my 170 and I feel the ReefTops ones are a step above. He will customize it for any cutouts you want for auto-feeders, lights or whatever at no additional cost. They are both spendy, but if they keep any jumpers in your tank, I feel that are worth it. Was able to move over the livestock from my 170 in their new home today. Now time to plan out the new additions. I really thought this was a satire piece... these are really and can remove unwanted pests from your tank? Might have to come down and check them out in person. I'm looking to get a larger skimmer and currently have a Reef Octopus and it's been a great little skimmer. I was wondering if anyone has used any of the new Red Sea skimmer line and if they would recommend them or not. I like how they have the built-in head cleaner and waste removal line.